Most of our work is custom-made to client’s specifications. We can work on short runs and branded items, utilising your company logo and housestyle on a variety of materials from perspex to glass and steel. 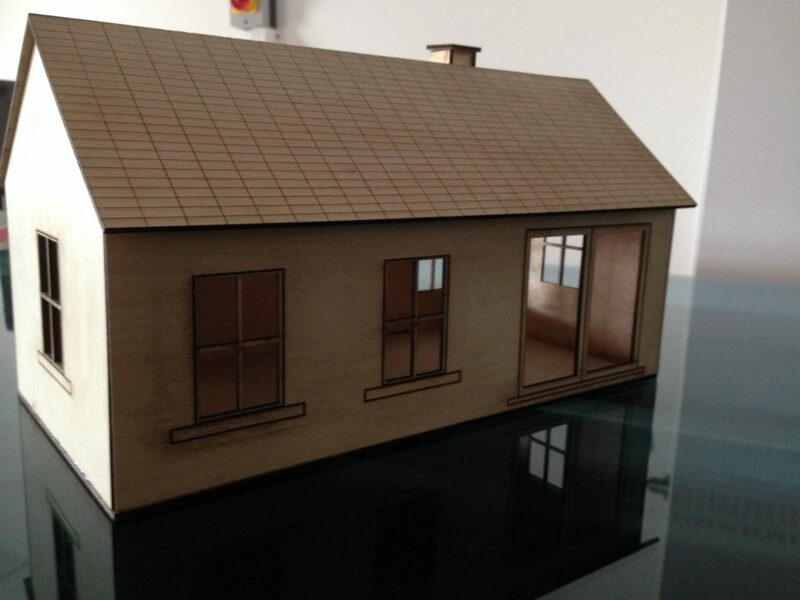 Architectural Model makers can also avail of our services which allows us to laser cut balsa and other modelling materials very precisely, make cutouts for stop motion animation, 3D physical visualisations etc. Paper and card can be laser cut into complex shapes and designs providing bespoke stationery for wedding invitations, place settings etc. Mylar stencils for interior design, wedding chalkboards etc. We can engrave mirrors by laser etching the reflective surface from the back of the mirror which produces a perfect image on the front face of the mirror which is smooth and can be wiped clean – perfect for restaurants, bars, pub & restaurant toilets, boutique hotel branding, shops, display, interior design etc. 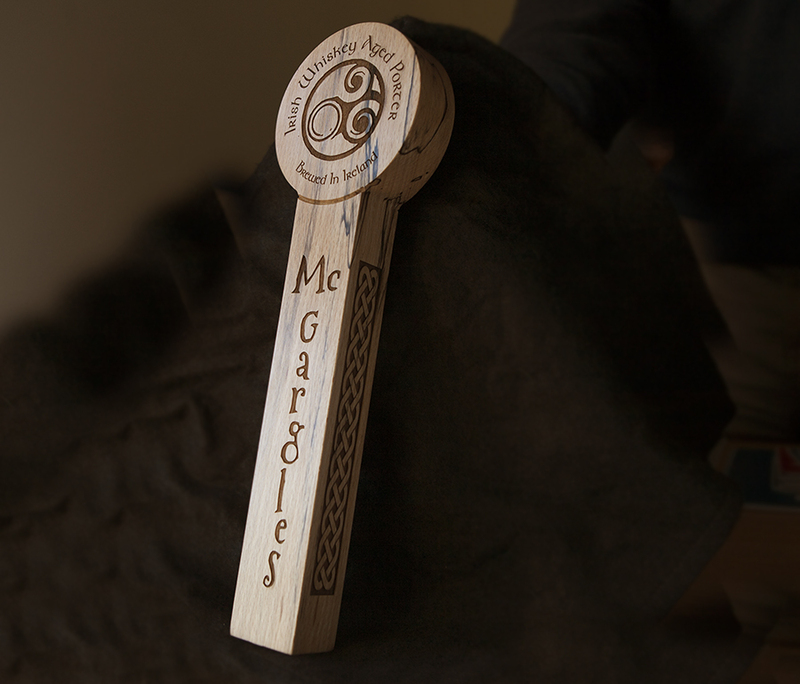 Laser engraved wooden beer pump handle. 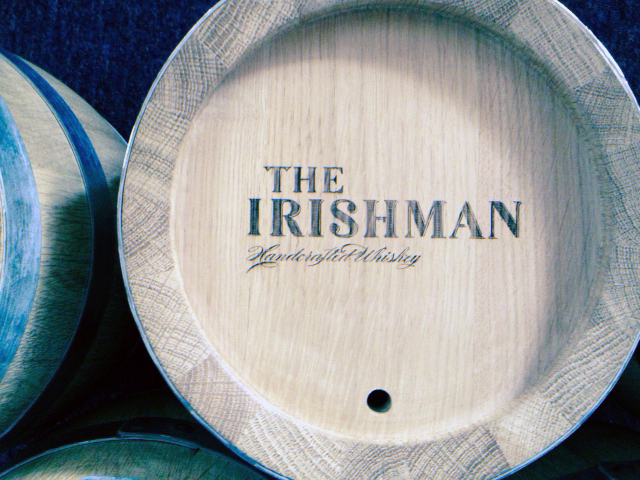 Bespoke laser engraving on wood. Walsh Whiskey Distillery. 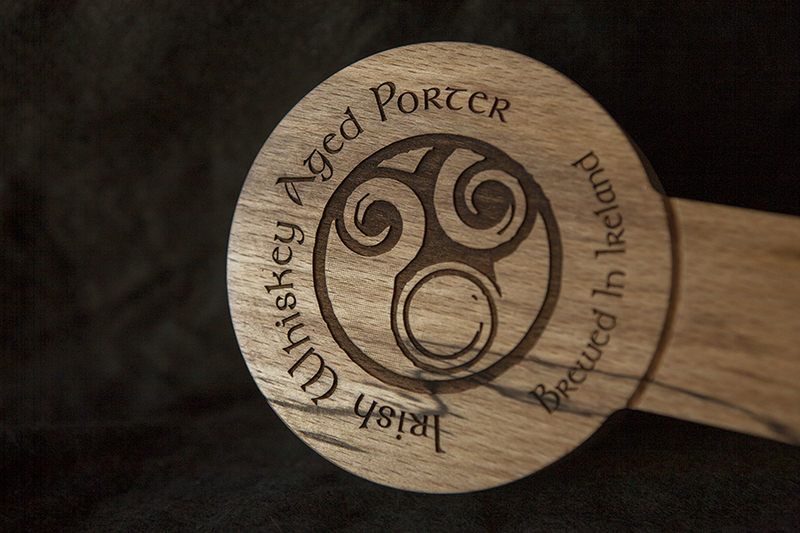 laser engraved wooden beer pump handle, multiple face laser engraving. 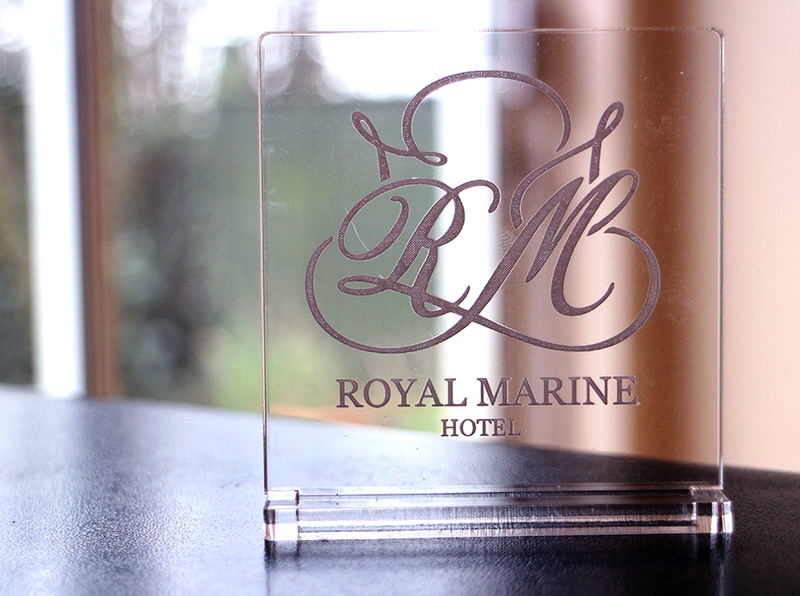 Reverse-engraved perspex reception sign with company logo.